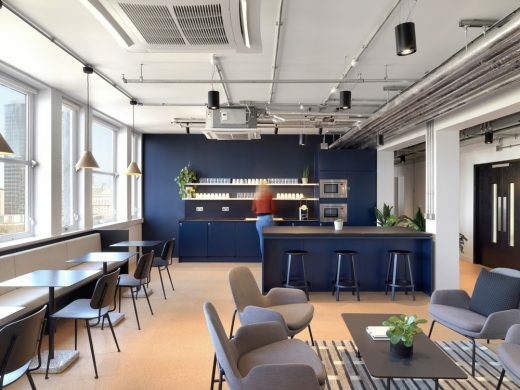 Tintagel House, The Office Group (TOG)’s new flagship flexible workspace on Albert Embankment in Vauxhall, has opened following a major refurbishment by architects Stanton Williams and interior design by Universal Design Studio. 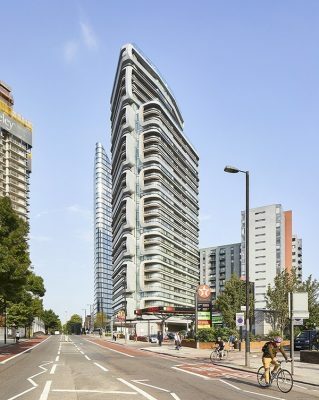 Built in 1960 and occupied by the Metropolitan Police for half a century, Tintagel House continues to stand out on Albert Embankment, an area that has changed dramatically over the past decades and, with the adjacent Nine Elms Development rapidly taking shape, will continue to do so. As a new hub for entrepreneurs and independent businesses, Tintagel House will generate further diversity in the area and contribute to the energy and activity of the revived neighbourhood. Stanton Williams has transformed the existing 12-storey building into a flexible office setting, designed to cater for a variety of work styles. 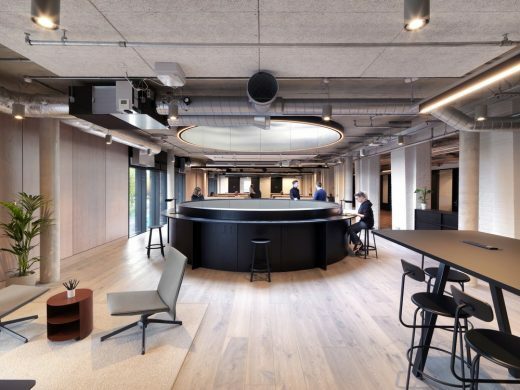 Taking a sustainable approach, the project has expanded and improved the existing office accommodation with the creation of spacious communal areas in the new extension at ground and first floor levels, in addition to the conversion of the panoramic top floor. 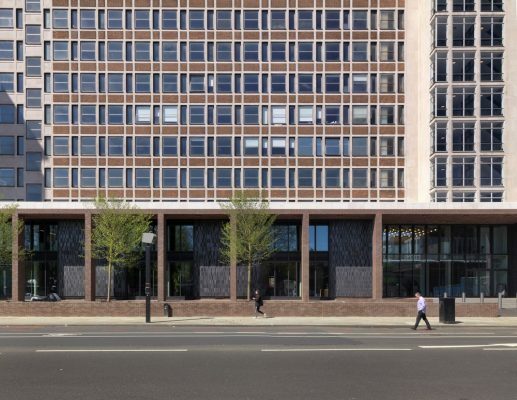 The expansion of the ground and first floors has activated the building’s frontage, engaging both visually and physically with the public space around the building to create a welcoming and open approach. 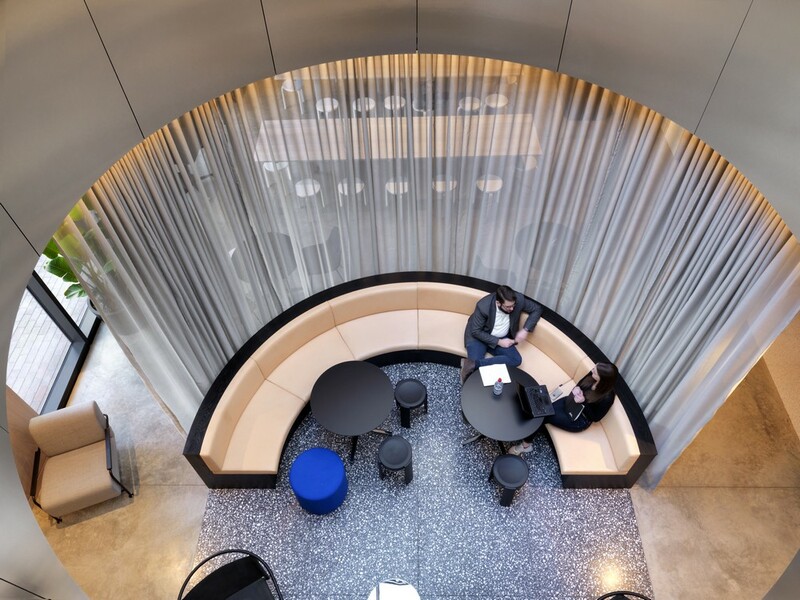 This new extension allows for generous communal spaces where the building’s occupants can meet, share facilities and interact with the wider community, a fundamental aspect in TOG’s approach to the provision of co-working space. 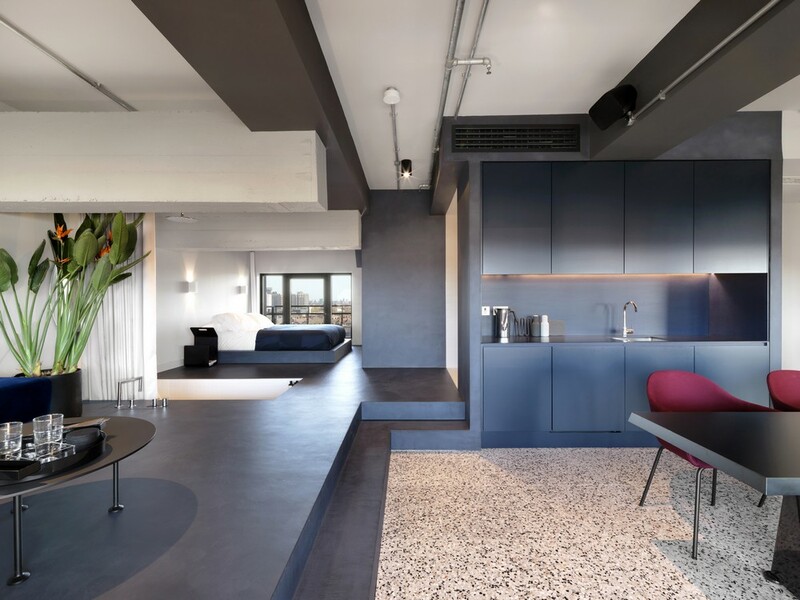 The larger floor plates are better suited to open-plan, flexible layouts and can be easily accommodated or reconfigured over time, future-proofing the building. The majority of the existing top floor plant has been removed and the elegant ‘floating canopy’ roof converted as office space alongside a rooftop bar and terrace, optimising the building’s prominent riverside location and spectacular views across the river of East and West London. The relationship between the external open space and the interior of the building is mediated by the introduction of two-storey colonnades, giving civic character to the previously introverted lower levels of Tintagel House, while creating a sense of enclosure with external terraces along the riverside for members’ use. 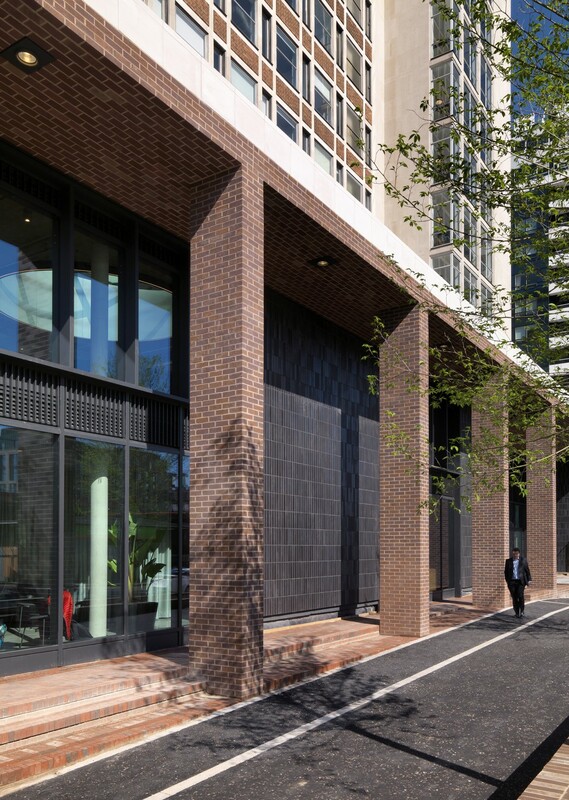 The material palette of facing brick and glazed tiles of the new façade references the original concept of the building, as well the site’s history of pottery and glazed ceramic production, most notably the presence of the Vauxhall Pottery, active in the area between the 17th-19th centuries. 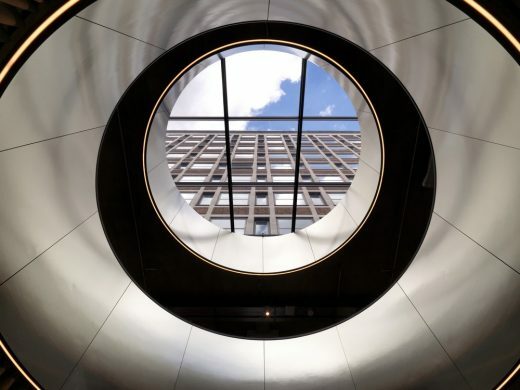 Universal Design Studio, the London-based practice behind the interior design overhaul, anchored the interior influences to Tintagel House’s previous life as a Met Police building. Inspired by the rich heritage belonging to the building, characterised by innovation, intrigue and investigations, the newly designed interiors aesthetically reference archival material from the building in the 1960s, juxtaposed with the new uses of the building. The former home of the first police computer – an ICT 1301 mainframe installed in the 1960s – the design for key new spaces within Tintagel House reference these state-of-the-art data processing technologies of the era with a strong graphic quality using materials such as brushed stainless steel, terrazzo and block colours, contrasted against contemporary fittings. 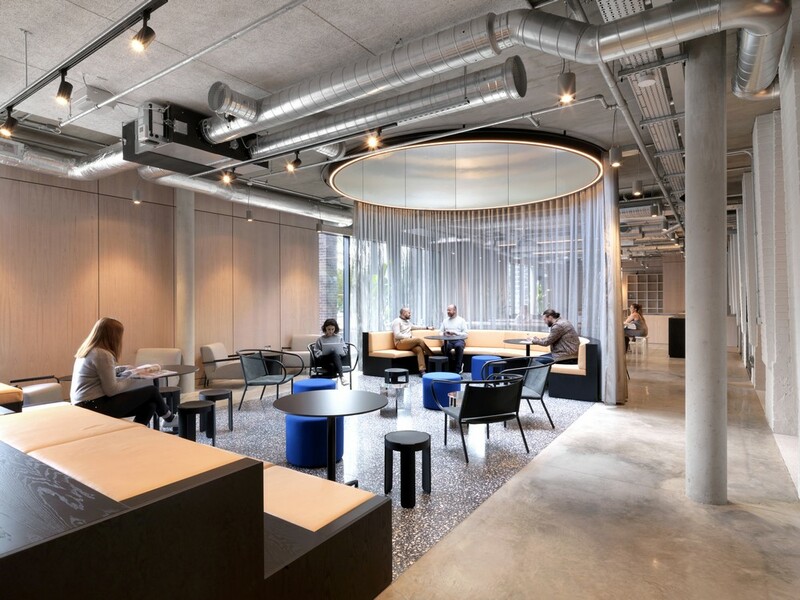 Universal has created a broad menu of interiors, which vary in degrees of privacy and openness, designed to accommodate and nurture the creative culture both of TOG’s nomadic 17,000 strong modern working community and guests from the surrounding Vauxhall area. Offering an extensive range of co-working, meeting and hospitality spaces, from specially-considered secluded quiet corners for some head-down calm to socially-oriented public areas designed to generate opportunities for members to connect in more serendipitous ways, each space has been designed with a strong visual identity. 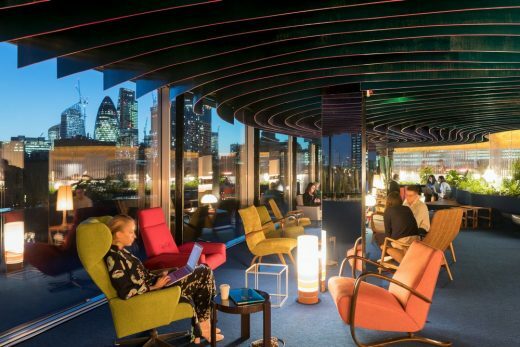 In addition to a members’ bar, café, gym, workshop space, a central ‘forum’ for events and executive suite on the top floor, Universal has also designed a Secret Room within Tintagel House, a speakeasy-style member’s only space concealed behind a cleaner’s cupboard door entrance. The site around the building has been transformed with new landscaping by Bradley-Hole Schoenaich Landscape. 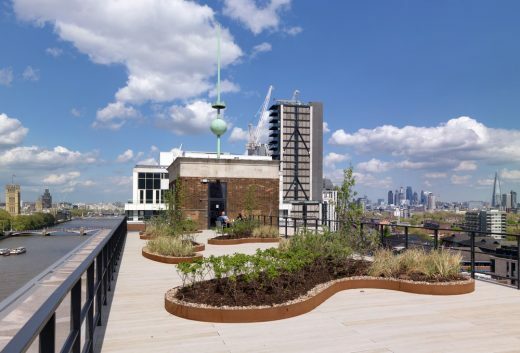 Richly planted areas along the riverside path and on the upper floor terraces boost biodiversity while enhancing the overall appearance of the building. 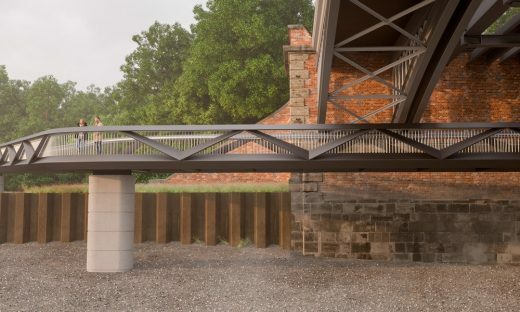 The previously neglected section of riverside path has been overhauled; it has doubled in width and been resurfaced in York stone, matching the paving of Bazalgette’s Albert Embankment, while the addition of new lighting improves safety. 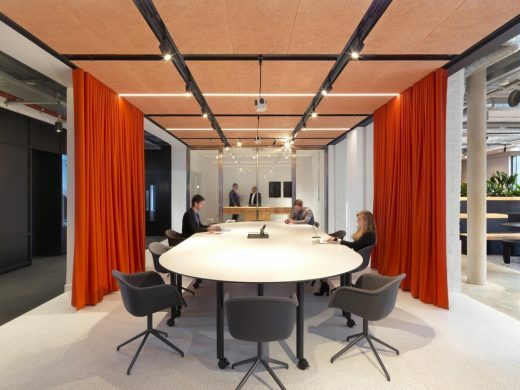 •	TOG is a leading provider of design-led and flexible offices, meeting rooms and co-working spaces for start-ups, small businesses as well as larger, more established businesses. •	TOG allows members to work across multiple locations and enables companies to grow, downsize or exit a space quickly and cost effectively. 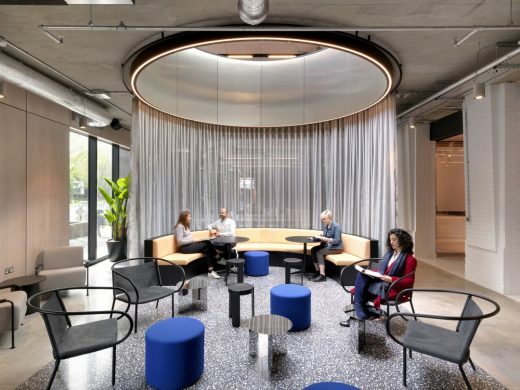 •	TOG is focused on creating inspirational workplaces with a genuine sense of community, as highlighted by the inclusion of spaces such as libraries, screening rooms, cafes, gyms and gardens. •	Co-CEOs Charlie Green and Olly Olsen co-founded TOG with their first building in 2003. 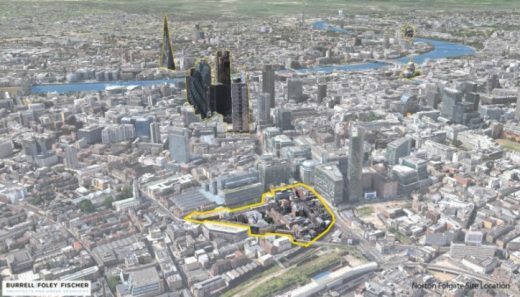 •	In June 2017, Blackstone – a global leader in real estate investment – acquired a majority interest in TOG from former Chairman, Lloyd Dorfman CBE. Together with Blackstone, TOG is now in a new stage of development, accelerating growth by expanding its portfolio and client base, and continuing to define new and innovative ways of addressing how people wish to work. •	Further information is available at www.theofficegroup.co.uk. 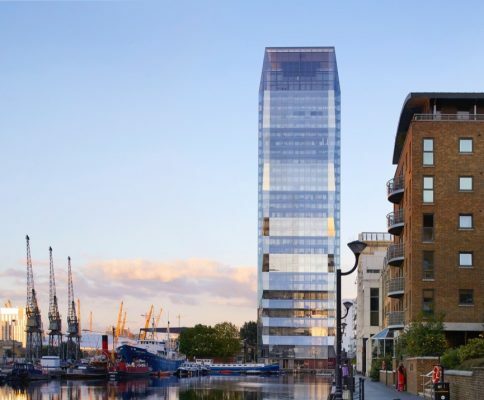 Stanton Williams are a multi-award winning architectural design practice based in London. The practice has developed its portfolio from an initial focus on museums and galleries towards a wide variety of projects, all of which demonstrate its overarching objective of putting the user’s experience of space, light and materials at the forefront of the agenda, as well as creating places that sensitively respond to their cultural, social and physical context. Current or recently completed projects include: the Musée d’arts de Nantes, France; a new research centre for Great Ormond Street Hospital in London; a major educational project for UCL East Marshgate; The Museum of London West Smithfield and the Royal Opera House, London. 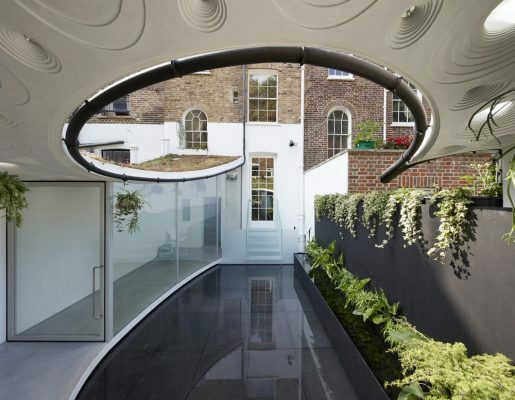 Universal Design Studio is an award winning architecture and interior design practice based in London. It works internationally on commissions including boutique hotels and restaurants, retail spaces, workplaces, galleries and renowned cultural institutions. 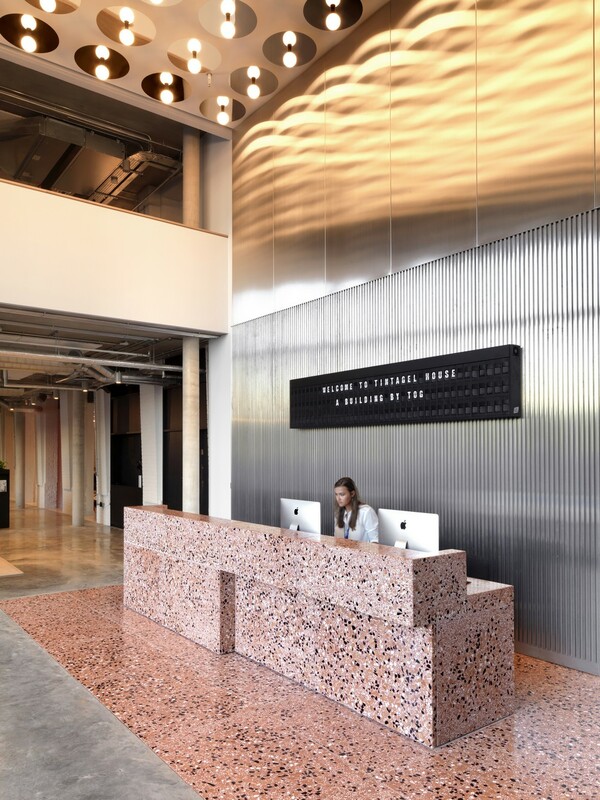 Universal uses a bespoke approach for each client, rich in intellectual rigour and creativity, to create inspiring places with a powerful visual impact. 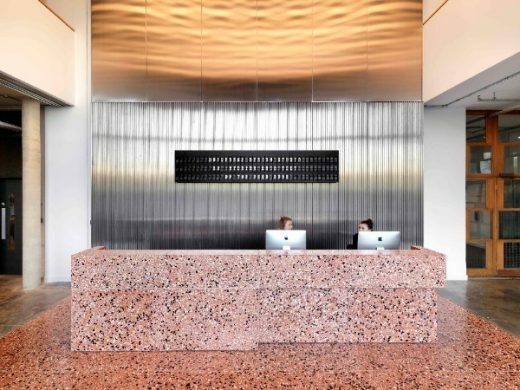 Founded in 2001 by Edward Barber and Jay Osgerby in response to the growing demand for their distinctive design aesthetic and clever use of material details in an architectural and interior design context. The studio is co-directed by Hannah Carter Owers and Jason Holley. Clients include Ace Hotel London, Selfridges, Fortnum & Mason, British Airways, Science Museum London and Frieze Art Fair.